As a NH3 (anhydrous ammonia) manifolds manufacuter, we offer thee different types of manifolds.The all new A-360 series manifolds, the A-MVD and A-SVD series manifolds and the 6006 and 6007 series manifolds. For the best distrubtion accuracy in the industy try our all new A-360 manfolds. With distrubtion accuracy of 1-3 percent its the best money can buy. 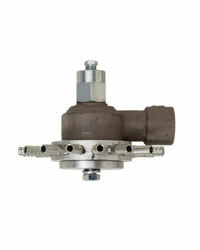 For the more budget minded customer that still wants even distribution try the A-MVD, A-SVD series manifolds. With distribution accuracy of 6-8 percent and half the price of other manifolds for the same results its the best bang for your buck. 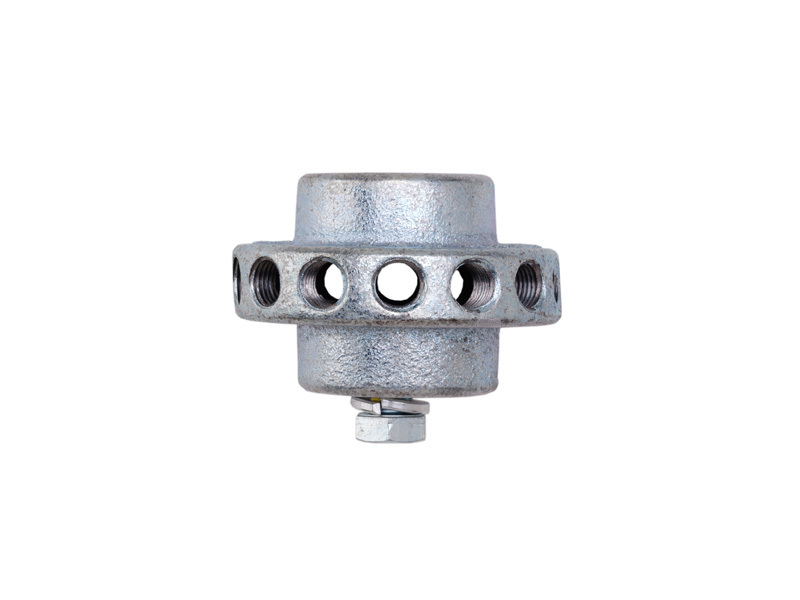 We also offer the tried-and-true 6006 and 6007 series ductile iron manifolds. Please take a look below for a description of each one. If you don't find what you're looking for please give us a call at 800-537-5642 or click the "Request Information" button to the right. Continental NH3 Products is proud introduce our all new even distribution manifold system, the A-360. The A-360 manifold system is a complete turnkey design that includes splitters and manifolds made to your exact application needs. With accuracies as close as1-3 percent to your target rate you can rest easy. 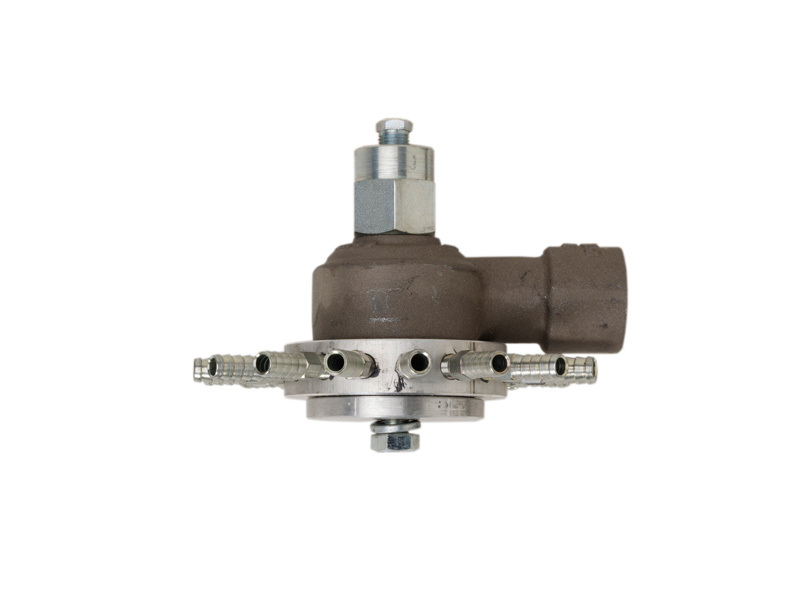 Our patented step down injector technology mixes and accelerates the ammonia into an upper chamber, the tee, and the lower manifold chamber. These key features mix the vapor and liquid so each outlet gets an equal amount of both to get an even distribution of the ammonia. Each manifold is custom built to your needs, no plugging necessary. If you need the best in ammonia distribution look no further. Try our new A-360 manifold system, you won’t be disappointed. Catalog No.A-MVD the MVD is great budget line even distribution system that going to get you with in 8-10 percent accuracy. Its the biggest bang for your buck. Other manifold systems are twice as much for the same results. The most important changes to the MVD has been the option to have it either custom made to the exact number of outlets you require or you can plug off what you dont need. Just chose the manifod size you need, large or small, and your good to go. Keep in mind for better distribution accuracy please see the A-360 series above. Below is a description of the available sizes, rates and part numbers. Tool bar width in feet X Speed X lbs. N per acre X .1212 = Total lbs N per hour. Taking your Total lbs N per hour and dividing it by your number of outlets will get you pounds of N per outlet. Then use the chart below to determine which manifold you need. A-MVD-16A120 20 to 150 lbs N per outlet 3/8"
A-MVD-16B120 20 to 150 lbs N per outlet 1/2"
A-MVD-16A201 150 and up lbs N per outlet 3/8"
A-MVD-16B201 150 and up lbs N per outlet 1/2"
Note: Above rate range is based on 100 lbs of tank pressure. rate change will change at approx. 1/2 percent per pound of tank pressure differential. Example: For 90 lbs of tank pressure, you would reduce the capacity by 5 percent. Catalog No. 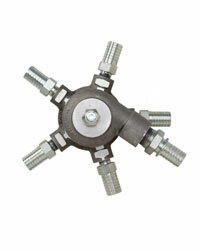 A-SVD flow divider is designed to work in conjunction with the A-MVD on large tool bars requiring 3, 4 or 5 manifolds. 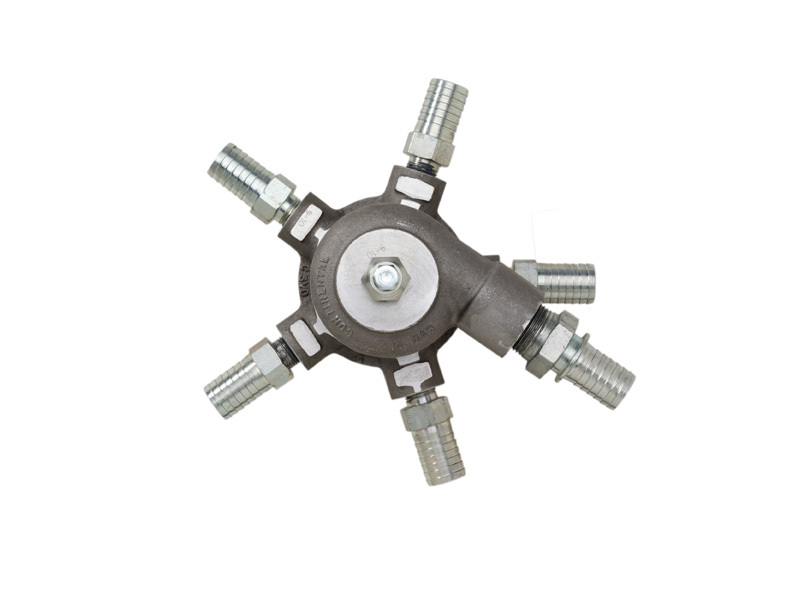 This type of splitter is generally used in small grain applications. 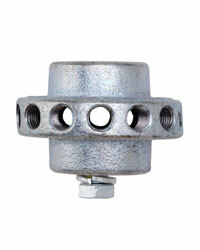 If you are needing large grain applications please see the A-360 series splitters above. 6006-6007 series manifolds were designed for the budget-conscious farmer in mind. They are simple in their design but, keep in mind, the distribution on thse manifolds are not near as good as the MVD series. Note: All 6007 Manifolds are available with a built-in strainer screen.